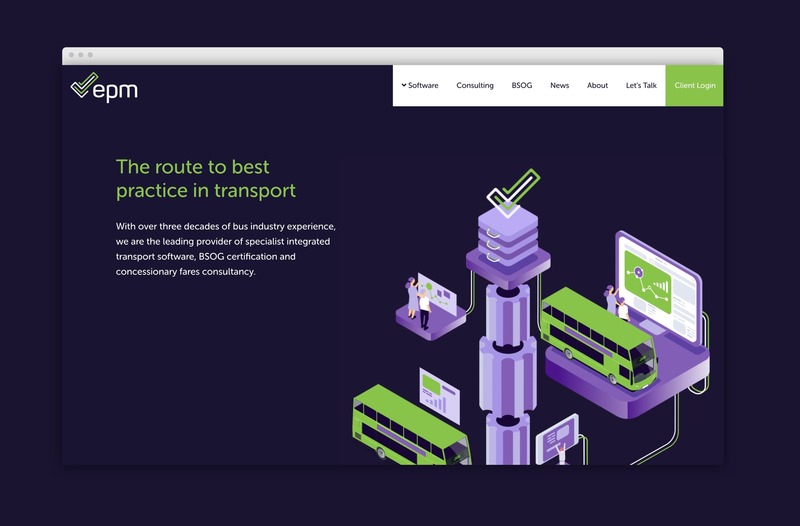 To develop the existing brand and create a new website design that represented all areas of the business in a more engaging way, including a new logo design and brand name refresh. 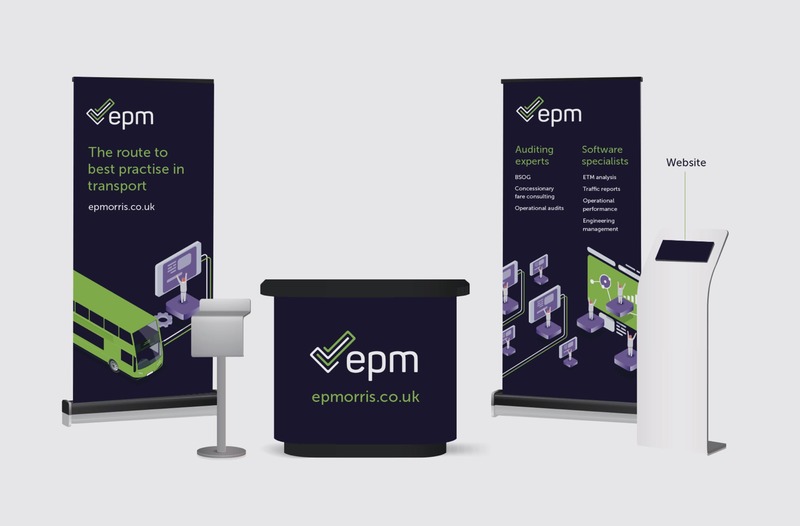 EPM also required marketing collateral support ahead of upcoming industry conferences. 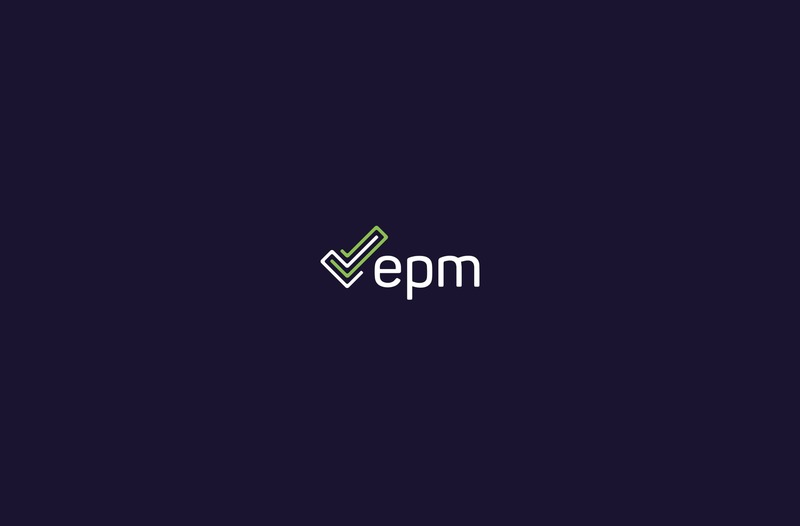 Following Rawww conducting a thorough website and brand audit of EPM, we were able to produce detailed insight on the business. 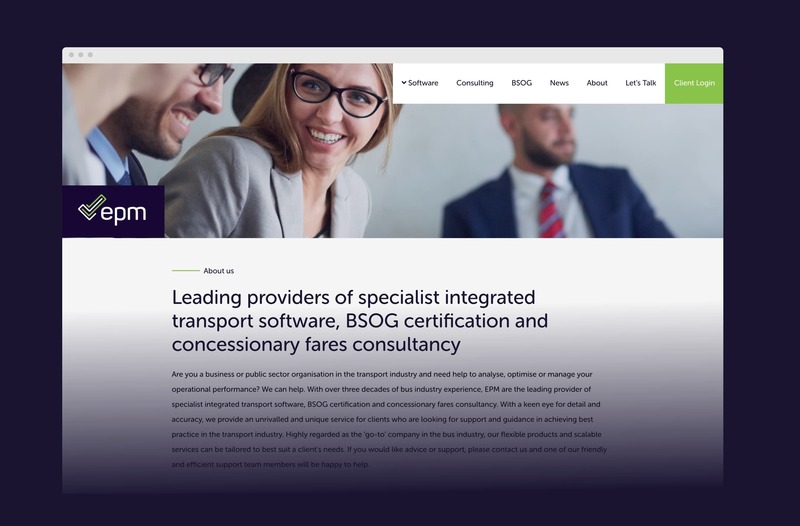 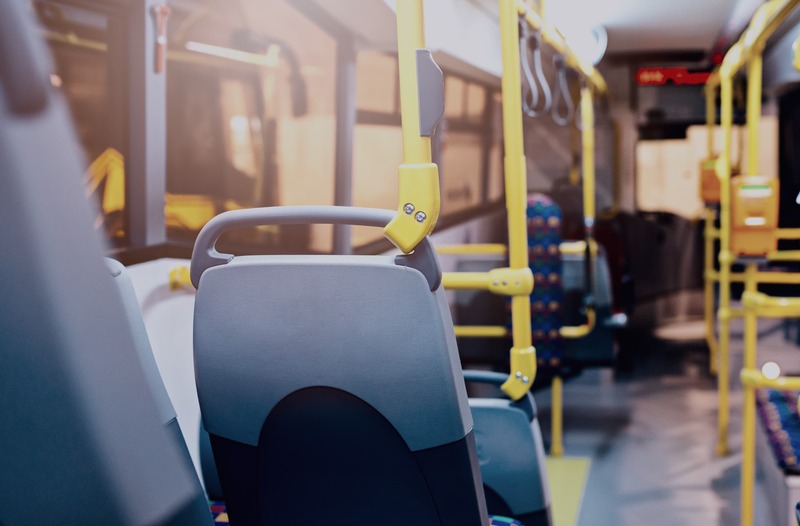 Using our results, EPM opted to carry out a complete brand refresh to help bring together all aspects of the business, including their specialist integrated transport software, Bus Service Operators Grant (BSOG) certification and concessionary fares consultancy. 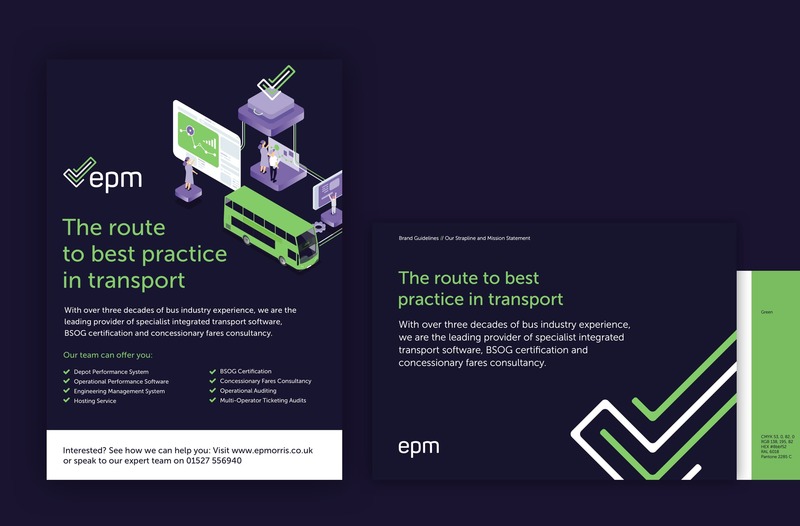 We developed the brand by changing the business name to EPM and evolving the logo, before designing brand collateral including stationery, business cards and brand guidelines. 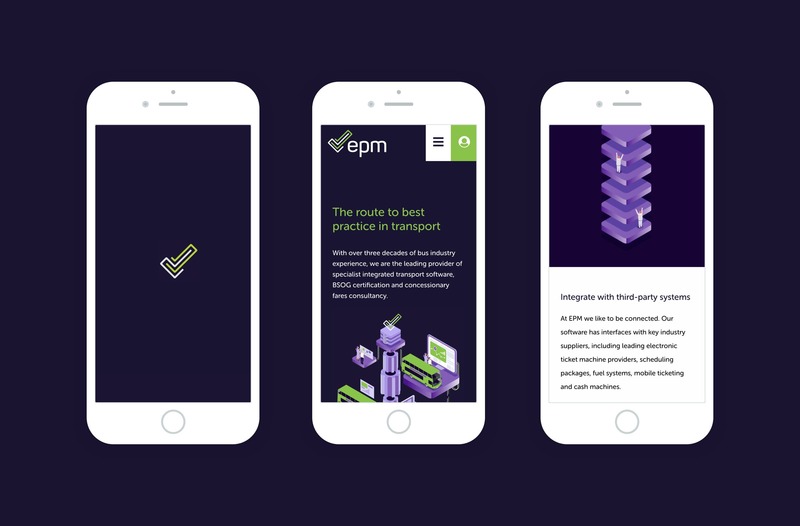 We also helped EPM prepare for their new brand launch at the 2018 Album Conference in Glasgow.